This month, CUESA welcomed two Marin-based cheese makers to the Ferry Plaza Farmers Market. Both are relatively new to the local cheese scene, but you wouldn’t know it by tasting their award-winning artisan products. For both of them, organic land stewardship is as integral to their cheese as curds and whey. 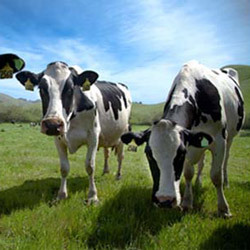 Rick and his five siblings inherited the dairy, and in 2010 they launched Nicasio Valley Cheese Company to help their business weather plummeting wholesale milk prices and to showcase the exceptional dairy produced on their land. The milk for their certified organic farmstead cheeses comes exclusively from the 400 Holsteins that graze on the family’s 1,150 acres. 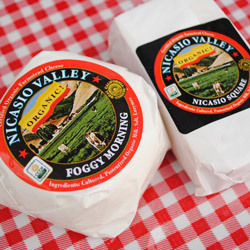 Nicasio Valley’s nine cheese varieties range from the fromage blanc–style Foggy Morning to the soft-ripened Loma Alta to the washed-rind Nicasio Square—three cheeses recently awarded honors by the American Cheese Society. The cheeses are made with the absolute freshest milk available: “We finish milking at 6:30, and by 9:00 we’re making cheese,” Rick explains. The Lafranchi family’s pastures are fertilized with recycled manure, and the herd is regularly rotated from pasture to pasture to avoid overgrazing. Cheese lovers can thank the Marin Agricultural Land Trust (MALT) for preserving thousands of acres of that all-important grass, according to Rick, who serves as MALT’s board president. The Lafranchis are one of many families that have sold their land development rights to MALT, helping support farming as a way of life in Marin and ensuring that their land remains agricultural. Dairying might not be the likeliest new career path for a heart and lung surgeon and a clinical psychologist, but for David Jablons and Tamara Hicks, it was a natural choice. Longtime lovers of the West Marin landscape, the couple was so inspired by the region’s agricultural history that in 2003 they purchased 160 acres of rolling pasture a few scant miles from Tomales Bay and dubbed them Toluma Farms. “We made a conscious decision to find a piece of land that was no longer being utilized for agriculture and bring it back to what it should be,” Tamara explains. With capital from MALT and a USDA rural development grant, David and Tamara (along with their daughters, Josy and Emmy) embarked on several years of intensive land restoration, which included hauling 10,000 abandoned tires off the property. 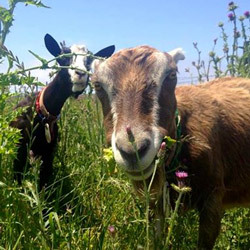 Tomales Farmstead Creamery was born in 2012 and started producing its first cheeses the following spring. Today, the family raises several animal breeds recognized for their high-quality milk, including 200 Alpine, La Mancha, Nubian, Oberhasli, Saanen, and Toggenburg dairy goats and 125 East Friesian sheep. The creamery’s four cheeses bear Coast Miwok names in honor of the land’s first human inhabitants. 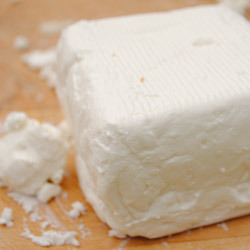 Atika, meaning “two,” is an aged goat and sheep’s milk cheese that won honors from the American Cheese Society this year. Sustainability and humane animal husbandry have been part of Tamara and David’s mission from the get-go. Their farmstead cheeses are produced exclusively with milk from Animal Welfare Approved herds raised on certified organic pastures. The family grew 1,600 bales of their own organic hay last year, ending their reliance on water-intensive alfalfa trucked in from the Central Valley. The dairy also switched from twice- to once-daily milking, halving the water required for pre-washing the animals and cleaning the milking parlor afterward. Look for Nicasio Valley Cheese Company and Tomales Farmstead Creamery at the Ferry Plaza Famers Market on Saturdays in the back plaza. Cows photo courtesy of Nicasio Valley Cheese Company. Goats photo courtesy of Tomales Farmstead Creamery.